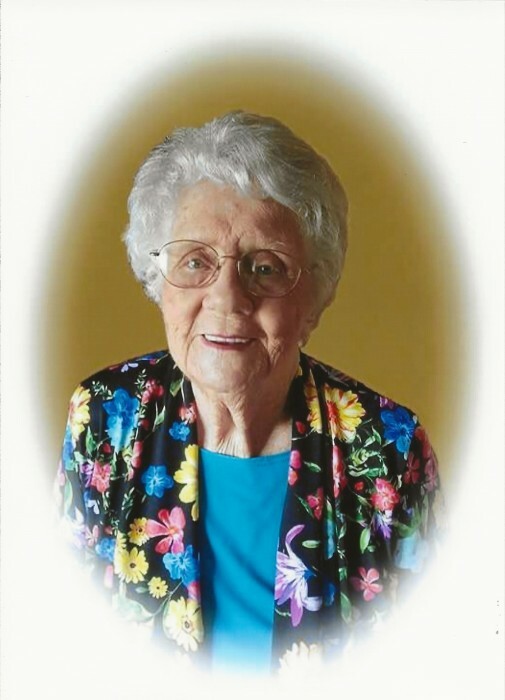 Iva Venoy, age 94, of Waynesburg, passed away Tuesday, August 14, 2018 at her residence. Born Tuesday, March 25, 1924 in Lincoln County, she was the daughter of the late William and Florence Cornett Howson. She was the widow of the late Clarence F. Venoy. Iva was a former factory worker at Liberty Sportswear, a homemaker, and a member of Pleasant View Baptist Church. In her spare time, she enjoyed dancing, flowers, and especially loved her dogs. Iva leaves behind three sons, Robert Venoy (Greta) of Shopville, Venton Venoy of Halls Gap, and Johnny Venoy (Brenda) of Waynesburg; three daughters, Shirley Baker (Junior) of Waynesburg, Thelma Mercer of Eubank, and Jackie Mize (Bruce) of Eubank; 21 grandchildren; 30 plus great grandchildren; and several great-great grandchildren. In addition to her husband and parents, she was preceded in death by four grandchildren, Bryan O’Conner, April O’Conner, Tyler Venoy, and Doug Mercer; one great grandson, Haven O’Conner; and three half brothers, Otis, Simon, and Clyde Howson. A Funeral Service will be held 11:00AM Saturday, August 18, 2018 at Barnett, Demrow & Friend Funeral Home with Bro. David Gambrel officiating the service. Burial will follow in Double Springs Cemetery. Venton Venoy, Terry Corner, Pat O’Conner, Levi Russell, Carly Bullock, and Shawn O’Conner will serves as Active Pallbearers. The Visitation will be held 5-8PM Friday, August 17, 2018 at the funeral home. Barnett, Demrow & Friend Funeral Home, Waynesburg, is entrusted with Iva’s arrangements. Guest Book available at www.friendfuneralhomes.com.